Reserve is a new economy API aimed at giving economy-related plugins better integration with economy providers. The API is geared towards how economy plugins have transformed over the years with multi-world, and multi-currency support. If you wish to get started with adding Reserve support to your economy-related plugin please visit the wiki. For a preview of our reinvented Economy API, please visit here. There’s only two ways to support the development of Reserve at this moment. Reserve has a small number of commands, which provider some administration tools. In order to use any Reserve commands a player must have the permission node reserve.admin. For support choose one of the following. To contribute to Reserve you may fork our Github Repository, and make a Pull Request. The repository is located at: https://github.com/TheNewEconomy/Reserve. What economy plugin did you switch from? Please Note: This project is in Alpha stage, and may therefore contain multiple bugs. Please report any bugs you find. 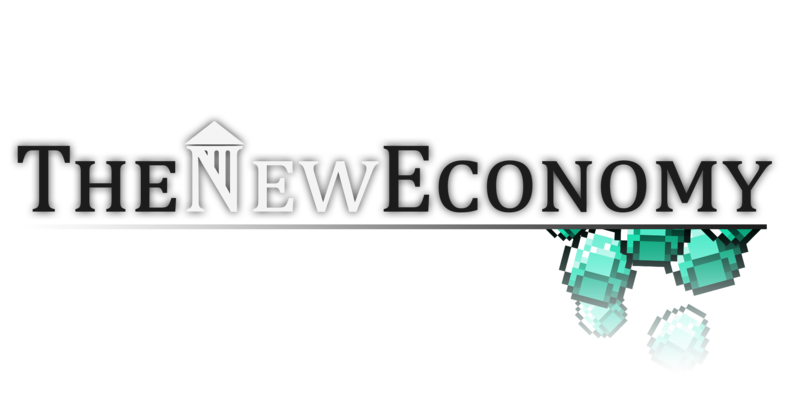 The New Economy is a feature-packed economy plugin that is currently still under heavy development. TNE is meant to offer an all-in-one solution for server economies, while also being completely configurable to each server’s needs. Whether you want a simple single currency economy, or multiple currencies per world with multiple worlds, TNE is for you. There’s only two ways to support the development of TNE at this moment. Some basic information you might want to look over. In the following example we’ll get a player’s balance using the API. Source code for the API class can be found here. To contribute to The New Economy you may fork our Github Repository, and make a Pull Request. The repository is located at: https://github.com/TheNewEconomy/TNE-Bukkit .